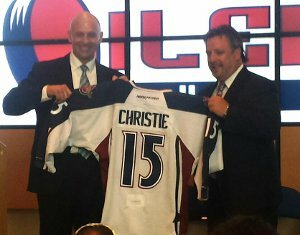 The Jason Christie era for the Tulsa Oilers Hockey club is officially over. 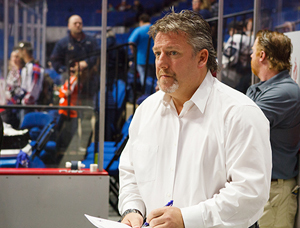 The winningest coach in the history of the ECHL tendered his resignation with the team on Monday morning. Behind the bench in Tulsa for two seasons, Christie compiled a 64-67-9-4 record as Tulsa’s Head Coach. Tulsa finished ninth in the Western Conference and one point shy of a playoff spot in 2015-16, Christie’s first season. The Oilers were 11th in the Western Conference in 2016-17. During his tenure, Christie coached his 1000th ECHL game, and set the ECHL record for most career wins (547). “We would like to thank Jason Christie for the two seasons he spent here and wish him all the best in his future endeavors,” said Oilers General Manager Taylor Hall. The team reports that the search for a new head coach will start immediately. The Oilers will begin their fourth season in the ECHL in October. This entry was posted in Sports on May 22, 2017 by admin.